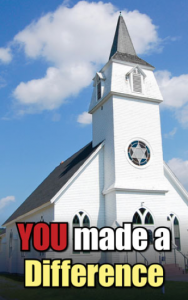 Senate Bill 467 would have given local government the power to tax churches! Current Indiana law protects churches from being forced to pay property taxes! SB 467 would have drastically changed current Indiana law to give local government the power to tax churches! This new tax would have been called a “user fee”! Under SB 467, a local government could have sent a new tax bill/user fee bill to a church for hundreds or even thousands of dollars each and every year! Under SB 467, if the church had refused to pay the new tax bill/user fee bill or couldn’t pay the new tax bill/user fee bill, then the local government would have been able to put a lien on the church property and then sell the church! As a result of the massive amount of phone calls and emails to the State House, Senate Bill 467 was changed in a committee hearing on February 21, 2017 to remove all of the language dealing with the taxation of churches! Here is some additional good news! By removing the language from Senate Bill 467 that would have harmed churches, we also protected non-profit organizations like Boys’ Clubs and Girls’ Clubs, Rescue Missions, Bible Colleges, Christian Schools, and Crisis Pregnancy Centers from being taxed as well! We want to thank all of the Pastors who shared the alert on Senate Bill 467 with people in their church. I want to also thank all of the individuals around the state who emailed or called their Senator to oppose Senate Bill 467 in order to protect churches from being taxed! Your Involvement Made A Difference! Working together, a great victory was won at the State House this year! And by working together in the future, we can help make Indiana an even better place to live, work and raise a family! Your tax deductible contribution of $35, $50, $100 or more will help us get the truth to you and others around the state during the 2017 General Assembly. Until next time, may God bless you and your family and may God bless America!